« DOCTOR MERCOLA SEZ: ARE THERE GMOs IN YOUR BEER? LAWRENCE SUMMERS TO HEAD THE FED? YOU’VE GOT TO BE KIDDING! 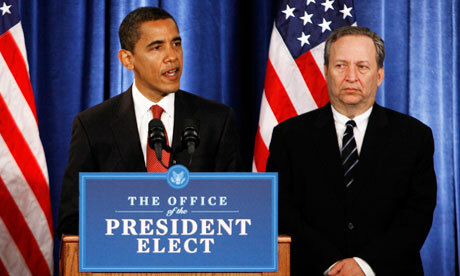 With President Obama about to appoint Lawrence Summers to head the Federal Reserve, it’s worth remembering that Summers was also the U.S. government’s chief economics adviser for years. He left Obama’s cabinet just as rebellions against the neoliberal, austerity and anti-democratic programs he authored washed over Tunisia, Egypt, and Europe. But hopes for a shift in government policy were dashed, as President Obama continued to pursue Summers’ corporate and bank-friendly policies, accelerating the global ecological and economic crises. To get us out of the crises, President Obama has turned to the same coter­ie of economic advisers who got us into them. They have brought the U.S. (and world) economy and ecology to the brink of collapse. Subscribe to comments with RSS, or TrackBack to 'LAWRENCE SUMMERS TO HEAD THE FED? YOU’VE GOT TO BE KIDDING! '.